In the world of sims, it is sometimes a good thing to remember that there is real history behind our games and modules. In addition, sometimes that history can be quite hilarious! There are several “tall stories” regarding various mishaps and incidents with military aviation, even out of peaceful Sweden. This is the account of such an incident which actually made the news. 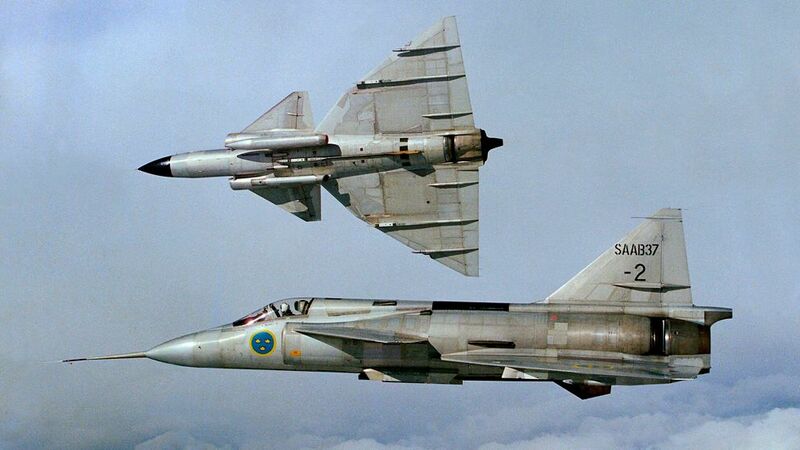 On Wednesday, November 16th, 1994, the two-ship JA-37 Viggen fighter element consisting of element lead Petter 29 and his wingman Petter 19, out of the F16 air base in Uppsala, were to land at the Byholma air base (ESFY) as part of an exercise. FF (Petter 19) declares inbound. MIF (Byholma ATC) relates wind heading, declares runway clear. MIF declares he has no visual contact with Petter 19. MIF reiterates he has no visual contact with Petter 19. Now, what really did happen as the MIF was “standing by”? We turn to a description of the events as recalled by Mrs. Anette Rydén, wife of the local dentist. For a bit of context, the Byholma base was a part of Sweden’s elaborate system of road bases, built during the cold war to provide backup runway capabilities in the event of attacks on the main airfields. A road base was typically made up of one primary, purpose-built runway surrounded by a set of smaller backup runways. These backups were essentially widened, straightened stretches of the surrounding main country roads, made big enough for one or two fighter aircraft to land and take off. Due to the spread out nature of this system of backup runways, these were normally used as ordinary roads by the public, and only closed off temporarily by the Air Force for exercises. On this day there were no roadblocks in the Byholma area, so Mrs. Rydén was out driving in her VW Beetle and had just stopped at an intersection between a smaller road and one of these widened stretches, about to turn onto the main road, when she spotted a “big military aircraft” rolling towards her along that very road. Mrs. Rydén, whose interest in military aviation was pretty non-existent and who could really not tell any aircraft models​ apart to save her life, initially thought that the plane, complete with its pilot “in helmet and hoses and stuff”, might be a Russian invader. As it came closer, however, she spotted the Swedish “Three Crowns” symbol on the side of the fuselage and relaxed somewhat. At that same time, another local arrived in his car. He ran up to Mrs. Rydén and instructed her to back up and make room for the aircraft. They both backed up, and the plane backed up in front of them off the main road. After letting two lorries pass in front of him, the pilot then taxied back out on the road in the opposite direction, applied Stage 3 and disappeared up in the air. Svenskt Flyghistoriskt forum, thread “Landningsmissar!” (tr: Landing mistakes), by forum user “Emil Lindberg”, with further details by forum user “henke2”. The Kaukasus Offensive is back!! !